Soapstone Porcupine, has now been released by Orca Book Publishers. This is my second novel for children, and the sequel to the award-winning Soapstone Signs. I am excited to report that an early review by CM Magazine: Canadian Review of Materials, University of Manitoba, has given Soapstone Porcupine 4 out of 4 stars and a Highly Recommended rating. A Teacher’s Guide will soon be available for free to download from the Orca website. The "sweet spot" is grades 2-4. Congratulatuions to Leslie Fagan on her appointment to the Order of Ontario. Here we are at her recent hometown performance with the Peterborough Symphony Orchestra and the Peterborough Singers. A wonderful evening! I'm moving ahead with my second book! Wow, it's been a while since I've been here! It's been a couple of months since I took part in Authors for Indies but I wanted to let you know how it went. I had a great day and got some good publicity for my book, and I got to meet some wonderful Canadian writers, including Jane Urquhart! It was a real honour to participate in this event...working with other Canadian writers to support independent book stores and promote reading. Read more about my experience at Lighthouse Books in Brighton. I hope that you're having a great summer! On Saturday, April 29th I will be at the annual Authors for Indies store events at Let's Talk Books in Cobourg and Lighthouse Books in Brighton! (check here for times). I'll be sharing the stage with Canadian writers like Peggy Dymond Leavey back for another tour, Nicholas Eames fresh off a book launch last month, the award winning Eva Stachniak, and the internationally acclaimed, Jane Urquhart. Here I am donating a copy of Soapstone Signs to the Little Library at Weeneebayko General Hospital of Moose Factory. Copies of Soapstone Signs were also proudly donated to Ministik Public School of Moose Factory, and Moosonee Public School. In Soapstone Signs I thank Greg Spence for helping with my use of the Cree language in the ‘L Dialect’. Here we are (with Bella) at Moose Factory. Greg is helping me with a few Cree words that will be part of Book Two, due for release from Orca Book Publishers in Spring 2018. Meegwetch Greg! A big thank you to Leo Etherington, one of Moosonee’s finest artists, who took us out to James Bay during our visit on Thanksgiving weekend. We experienced low tides, a hail storm and a horizon that curves forever with the great round earth. It is truly big sky country here along Ontario’s ocean front coastline. Meegwetch Leo! Joyous New Year! I hope that the holidays were good to everyone. I some news about my writing...I've very excited about it and hope that you will be too! I’m thrilled to announce that Soapstone Signs is becoming a series! Orca Book Publishers of Victoria BC will release book two in the spring of 2018. That's about all I can say but please stay tuned and remember to never run while carrying your pet porcupine. Chapter 4 of Soapstone Signs came alive in Moosonee on Thanksgiving Monday 2016! Leslie, Bella and I had set a fire and hung a pail for tea on the shores of Store Creek. We heard some splashing in the distance. Closer and closer the splashing came to our little campfire. It was family of 3 otters . They were curious about who was at their bend in the creek, and likely about what we were having for lunch! The otters very closely resembled the ones beautifully depicted by Darlene Gait's illustrations in Soapstone Signs. We "otter" give a big thank you to our friends Carol and Bish Hennessey of Moosonee for this great experience! 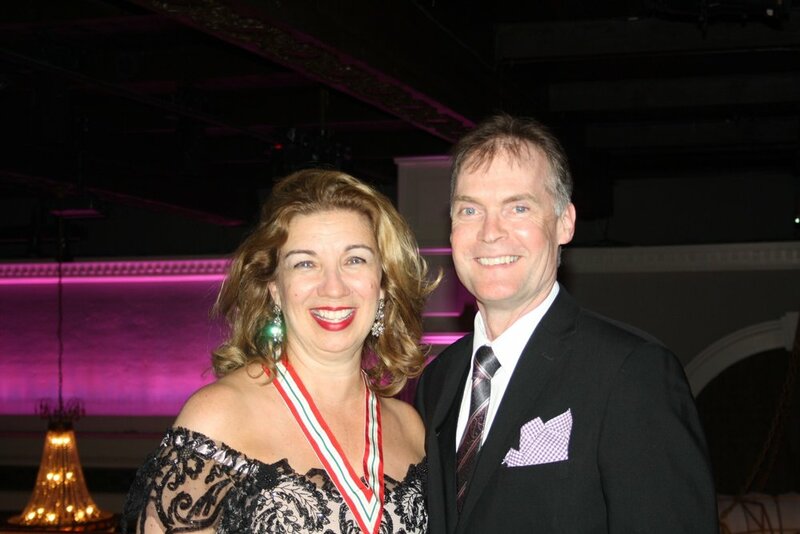 What an honour to perform with soprano Leslie Fagan and pianist Lorin Shalanko this past May 7th at Abbey North! The three of us presented "The Red Canoe", the second performance in our Poet and the Singer Series. ‎Thanks to John and Thea Patterson for hosting the performance, which raised donations for the Abbey Gardens Community Trust. We had a great time combining Lorin's piano, Leslie's voice and my poems to tell the story of red canoes, romance and lazy summers under the Haliburton moon. Leslie and Lorin have just recorded a CD together: Thread of Winter. Visit www.canadianartsong.com to learn more! I love to read reviews of my novel! This one is one of my favourites, by Gillian O'Reilly. I visited Disney World with my family in February. Everywhere you turn in that incredible place, you see the fantastic heights that simple children’s stories can reach. “Always remember that this whole thing was started by a mouse,” said Walt Disney. And I think yes, by a pen to paper story about a mouse. What an inspiration! My hat is off to you Mr. Disney and never again will I refer to a small or ramshackle establishment as a Mickey Mouse operation.